Self-harm is something I’ve experienced in both my personal and professional life. Over many years I’ve seen it affect many young lesbians. And yet it’s a taboo subject that makes people very uncomfortable. Very little research has been conducted on self-harm. Studies in the UK have reported that it’s on the rise. It affects 1 in 15 young people, between the ages of 11 – 25 years old. Frustratingly, even less is known about the relationship between self-harm and LGBTQ youth. YouthNet’s research points to 26% of LGBT youth self-harming. I believe this is a much bigger problem that is currently acknowledged. It’s a form of behaviour that may or may not be linked to a diagnosis of metal illness. It involves a person deliberately hurting themselves. This can involve cutting, burning, hitting, scratching, swallowing objects, alcohol abuse, pulling out hair, drug abuse, and overeating etc. It is usually kept very secret and a cycle of negative emotions, thoughts, and feelings are linked with it. Everyone’s reasons are unique and personal to them. Self-harm is a symptom of mental and / or emotional distress and can be used as a coping strategy. Some people do it because they are numb and want to feel something. Others do it because they are feeling too much. They can’t cope with their emotions and by hurting themselves they have something to show and treat on the outside. Many people state that self-harm helps to relieve distressing feelings. But it only provides temporary relief because it doesn’t deal with any underlying issues. There can also be elements of wanting control or to punish oneself. It’s attention seeking. This is not the case. Self-harm is usually kept private and can go on for years without anyone’s knowledge. Often the person chooses a particular body part that can easily be hidden so as not to draw attention. It leads to suicide. The Mental Health Foundation say self-harm is rarely about ending lives. SANE have suggested that some people view their self-harm as an act of self-preservation rather than destruction. It only affects young people. Self-harm can affect anyone. SANE’s survey showed an age range of 12-59 years of age. The most important thing is that the person seeks help. SANE state that counselling was reported to have been twice as helpful as medication. There is support out there. It may mean going to your doctor, a drop in centre, counselling service, or seeking advice and support from online resources. How can you help yourself if you self-harm? Try to be compassionate and understanding to yourself. Try a creative alternative to dealing with your difficult feelings: write them down, draw a picture, depict each feeling by giving them names, colours, and a voice. Having an elastic band around your wrist that can be snapped against your skin when you feel the need to hurt yourself. It may hurt, but it won’t injure you in the same way burning, cutting and scratching does. Holding a fistful of ice-cubes in your hand. Marking or writing on your body with a felt tip pen. Trying to distract yourself by reading a book, watching a DVD, or speaking to a friend. 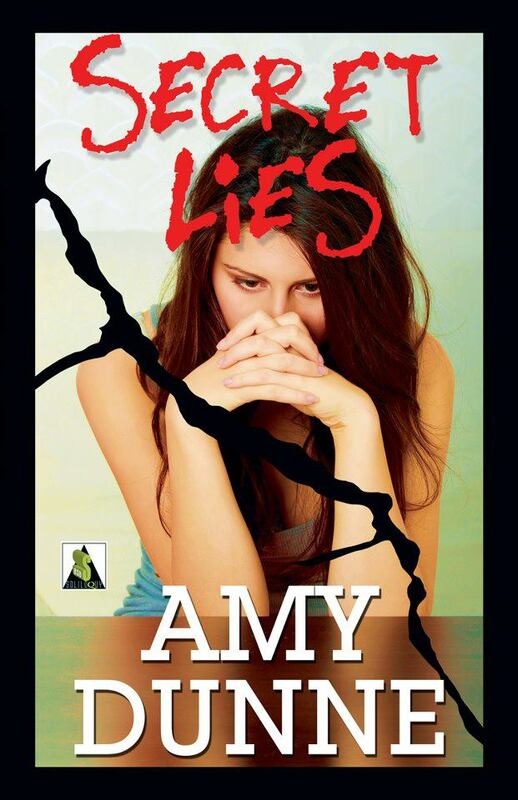 My debut novel, Secret Lies addresses the issue of self-harm. Jenny O’Connor, one of the protagonists self-harms and is actively seeking professional help. We get to experience her personal thoughts and feelings on self-harm. I’ll readily admit addressing the themes of self-harm and abuse don’t make the most comfortable of reads. My editor and I had many conversations about whether or not the self-harm should remain in the story. I said I wanted to keep it. Why? To raise awareness. I want people to understand that self-harm is a deeply complex issue and that more research and funding is urgently needed. It’s not going to go away if we choose to pretend it doesn’t exist and ignoring it is dangerous. If even one young person, parent, family member, or teacher enjoys reading Secret Lies and takes something positive away, then I’ve succeeded in doing what I set out to do. Finally, I really want to point out that the story isn’t all doom and gloom. Far from it! There’s a wealth of positivity. Above anything else, it’s a coming-of-age romance story. First love (is something many of us can relate to and) is full of a whole host of wonderful feelings and experiences. I hope that readers of all ages enjoy this story and come to care for Jenny and Nicola as much as I do.